Our creative, talented and award winning team bring years of combined design and staging experience. Together, we will work to effectively create polished and beautiful results. Our goal on each staging project is simple; transform the property to appeal to the largest amount of buyers. Our goal on each design job is to help create a space you love to live in. Together we have staged, decorated and redesigned over 4000 homes and hundreds of millions of dollars in real estate and established ourselves as a leader in our industry. At Fine Redesign, we have the resources and ability to get your job done on time and on budget - making us the first choice for top quality and affordable home staging and interior design. 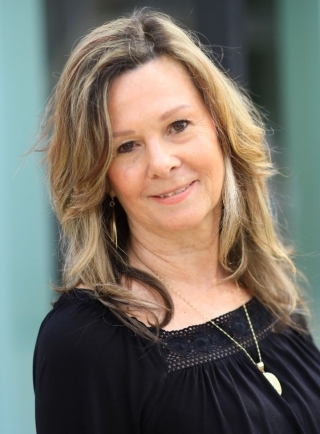 Owner and founder of Fine Redesign Home Staging & Decor Inc. is an Accredited Staging Professional who brings an abundance of talent, energy and creativity in leading her careful chosen design team. Since pursuing her dream in 2006, she has seen her vision come to life. Incorporating innovative and proven techniques for staging homes, Katie has turned a one woman hobby into a thriving, well respected staging & design company that has become a first choice for anyone looking for professional, stunning and effective results. With over 25 years of interior design and managerial skills, Katie continues to educate herself and her team in the Home Staging and Design Industry. She is a Certified True Color Expert & award winning designer who is proud to work closely with some of the Lower Mainland’s top realtors and builders. 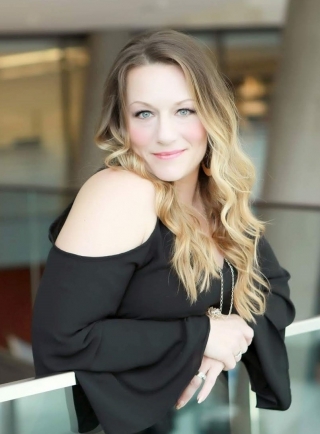 Katie was a finalist for the RESA Top 10 Professional Stager of the Year for Canada 2014 and was an event speaker at the RESA staging convention held in Las Vegas in January 2016.
is a Senior Certified Property Stager who understands the value of customer satisfaction. Her extensive background in Sales and Marketing allows her to recognize what each home requires to reach its full potential and sell quickly, for the right price. Jennifer has a talented eye for how to highlight a home's best characteristics and a true gift for creating chic, stylish and well planned spaces. She has a proven track record of success; since starting with Fine Redesign in 2009, she has successfully staged hundreds of homes and has become an essential addition to the design team. Jennifer was chosen as a finalist in the RESA Top 10 Professional Stager of the Year Canada for 2014 & has continued to produce award winning results ever since. 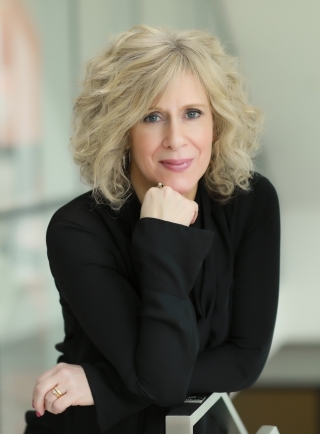 is a Senior Certified Property Stager who has been committed to providing exceptional service since she started her career with the company in 2011. Her style, energy and love of interior design are a combination that ensures customer satisfaction on every project she is involved in. Krista has successfully staged for hundreds of home owners and builders within the Lower Mainland, all with fabulous results. She is vibrant and energetic and has a fantastic sense of style. Her warm, kind demeanor helps to put her clients at ease throughout the process of transforming their homes. She is detail orientated and has a natural ability to highlight the full potential of any space regardless of the challenges it may offer. Krista has an amazing track record and her staged homes continue to sell within the first month! has a keen eye for how to highlight a home's best characteristics while at the same time minimizing the impact of any challenges. With a flair for design, impeccable organizational skills and a talent for creating well-planned spaces, a career in Home Staging came naturally for Heather. Skilled at creating warm, inviting environment that will turn potential buyers into serious buyers, Heather is also an expert at how to stay sane while living in a staged home, helping make it easier for anyone to keep their home ready to show to it's best potential on a moments notice. Since starting with Fine Redesign in 2012, Heather has staged and assisted on hundreds of vacant and occupied homes, all with beautiful results. She has become an invaluable member of the Fine Redesign team. was thrilled to become a member of the Fine Redesign team since joining in 2013. With a love of architecture and natural eye for design, Natalie completed the Architectural CADD and Graphics Technician program at BCIT. After gradutation she discovered that her true passion wasn't behind a computer, it was getting her hands dirty in Home Staging! A Certified Property Stager, Natalie loves a challenge and being creative so staging was a perfect fit. To date, she has staged hundreds of properties and, with the use of different color palettes and styles, each one tells it's own story. Natalie's natural talent is reflected in the precision and detail she puts into each task and she is skilled at creating warm and inviting environments that will appeal to buyers. brings a fresh perspective along with a wealth of artistic ability to the Dream Team. After years working as a stylist in the hair industry, she decided to follow her dream and pursue her true love of transforming homes instead of hairstyles. After completing her staging certification in 2014, she honed her trade working with various local staging companies until finding the perfect fit with the Fine Redesign family early in 2016. Bailey quickly proved to be an integral addition to the team and we can't imagine it without her. Hard working & professional, she and has a true talent at staging interiors. Her attention to detail and artistic flair consistently produce outstanding results. Bailey is dedicated to creating a space that is stylish with a comfortable flow that attracts buyers attention and helps make their home stand out from the rest. This busy lady is Fine Redesign's Interior Stylist/Decorator. Melissa graduated from Kwantlen Polytechnic University with a diploma in Public Relations but her passion & talent lies firmly on the creative side, as reflected by the stunning results she achieves for our design clients. Her ability to bring our client's vision to life, regardless of the size of the project, has ensured her a solid reputation as our top designer. She keeps the many tasks involved in a styling project organized and on track and since starting in early 2016, has a growing list of happy customers who are thrilled with what she has created for their homes & lifestyles. Melissa loves all facets of the design process, but for her, the best part of any project is seeing her clients joy and awe reflected in their expression when they see their new space for the first time. has been with Fine Redesign since 2016, overseeing all the administrative functions. With the hustle and bustle in this busy office, she handles most of the financial matters such as client billing, contracts, accounts payable & receivable and banking & helps ensures daily operations are running smoothly. By taking care of the behind-the-scenes tasks, Maureen allows the team to concentrate on what they do best – staging and designing homes. When she is not keeping the Fine Redesign office running smoothly, Maureen volunteers at the Abbotsford food bank helping those less fortunate. We love her kind, professional demeanor and are thrilled to have her as part of the team. came to Fine Redesign early this year hoping to join the ever expanding family - and when we say family, we mean it! Little sister to Melissa, Amanda has already proven to be the perfect fit as our official staging and design assistant as well as Fine Redesign's social media coordinator & office assistant. A talented photographer, her passion lies in the story through the writing and design, two skills that reflect throughout our social media and other various marketing collateral. 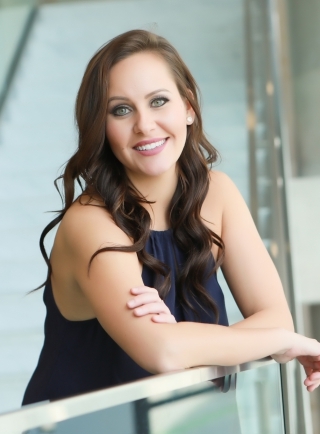 When she is not being being bossed around by her staging sisters assisting on site, Amanda is busy behind the scenes keeping the office organized and up to pace while also providing administrative support to our most valuable assets: our clients. Please join us in welcoming Edison to the Fine Redesign team. He was already a well-known face to all of us having worked for many years in the furniture rental industry so this was a perfect transition for him. Edison's main objective is to ensure that the revolving door of inventory flowing thru the warehouse is kept orderly and functioning. He also provides support to our stagers and designers on the road, delivering and destaging our many smaller projects that do not require a full truck. Always upbeat and with an outstanding work ethic, we don't know how we survived before him! He has quickly proven to be in invaluable addition to the staff & we look forward to a long career with him as a member of the Fine Redesign Dream Team!